Our ultra-thick LOFT paper is perfect for your custom ornament design. 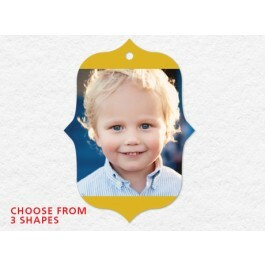 Upload your personalized ornament design and choose from 3 rectangle shapes and 3 thicknesses to express your holiday cheer. Our 6 color printing process produces superior image reproduction and comes standard on all LOFT products as does double-sided printing. LOFT ornaments make a terrifically unique holiday greeting you can send to friends, family, and clients. 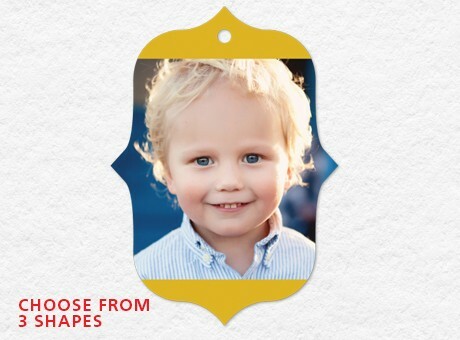 Beautiful and durable, our LOFT ornaments come with a hole pre-drilled and a white grosgrain ribbon for hanging. Try our convenient drop shipping option and never worry about your order getting to your family, friends, and clients. If you need design help, check out our Business Partners page and look at the offerings by our designer partners. Visit our Fulfillment Services page to see if our fulfillment services are right for you.